The Russian Ministry of Culture has tabled a new proposal that will allow filmmakers to have pirate sites blocked within 24 hours, without a court order. Officials say that new measures are needed to better protect the revenues of the local movie industry. Interestingly, the plan applies only to local content so major Hollywood productions are not covered. A decade ago online pirates had more or less free rein in Russia, but much has changed in recent years. With the introduction of several new laws, the country has been very aggressive in its anti-piracy approach, outpacing the United States and other western countries in several key areas. At the center of many of these efforts is Rozcomnadzor. 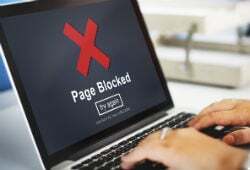 The controversial Russian Government body is responsible for managing web-blockades against pirate portals and other disruptive sites, which are censored on a broad scale. In addition to regular pirate sites, Rozcomnadzor also has the power to block their proxies and mirrors, and even VPN services which can be used to circumvent these measures. However, according to a recent proposal from the Russian government, this is not enough. A new amendment that that was published by the Ministry of Culture proposes to allow for near-instant pirate site blockades to protect the local movie industry, Vedomosti reports. Russian officials state that people often skip a visit to the movie theater when a pirated copy is available, depriving the makers of a crucial source of income. While filmmakers and other copyright holders can already report infringing sites, it’s a relatively slow process. At the moment, website owners are given three days to remove infringing content before any action is taken. Under the new proposal, site blockades would be implemented less than 24 hours after Rozcomnadzor is alerted. Website owners will not get the chance to remove the infringing content and a court order isn’t required either. Vladimir Medinsky, Russia’s Minister of Culture, has been a proponent of such pre-judicial blockades for a while, but his previous proposals didn’t receive support in the State Duma. The new blocking plans go further than any of the previous legislation, but they will only apply to movies that have “a national film certificate” from Russian authorities, as HWR points out. This doesn’t cover any Hollywood movies, which typically top the local box office. Hollywood’s industry group MPAA is not going to appreciate being left out, but its critique isn’t new. Despite all the new anti-piracy laws, the group is generally critical of Russia’s copyright enforcement policies. “Russia needs to increase its enforcement activity well beyond current levels to provide adequate and effective enforcement of IPR violations, including the imposition of criminal deterrent penalties,” the MPAA wrote in its recent trade barriers report. That said, the group was positive about the new law that allows rightsholders to have proxy sites and mirrors banned. “The recently-enacted amendment to the Anti-Piracy law should constrain the ability of wrongdoers to simply modify their internet sites and continue to operate in violation of the law,” the MPAA added. From a Hollywood perspective, it certainly beats blocking no sites at all, which is largely the case in the US at the moment.